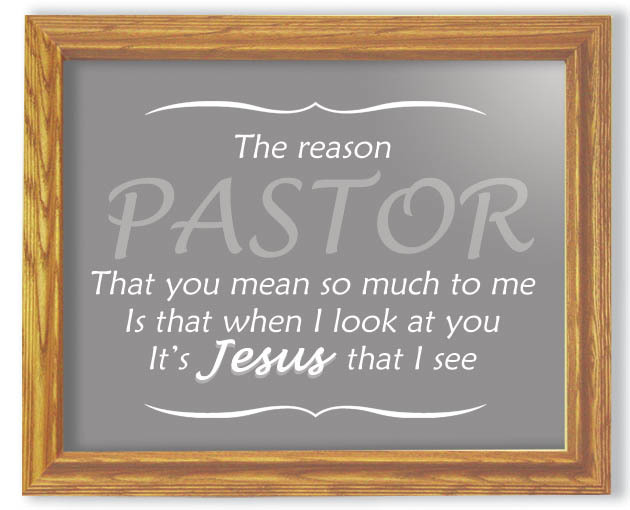 Someone reminded me recently that October is Pastor Appreciation Month. I'd forgotten about this amid a major strategic planning initiative at the parish, sermon writing, liturgical planning, pastoral care, etc, etc. Also because it's the lamest thing going. 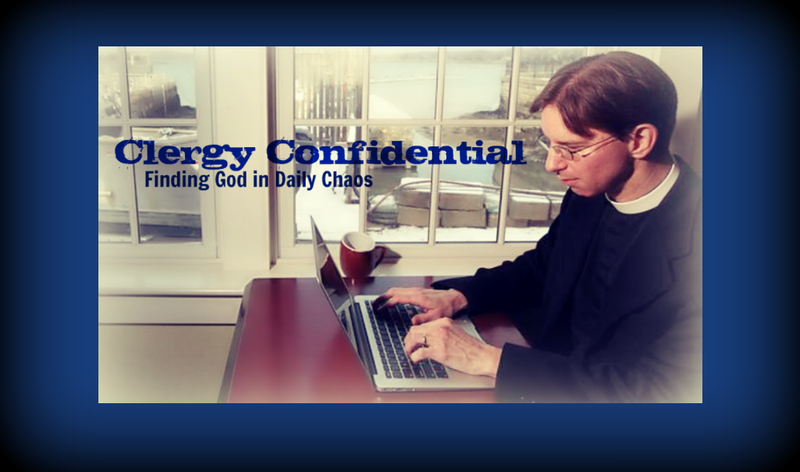 Think Hallmark holiday for clergy but instead of Hallmark it was created by cheesy clergy supply houses. How do I know this? 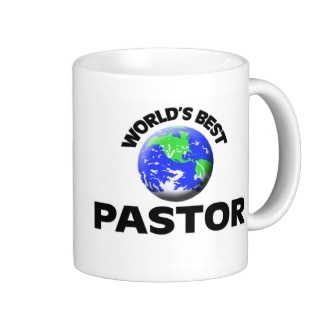 I sampled some of the gift items you can purchase for your pastor to show your appreciation. That's not to say you shouldn't appreciate your clergy. Far be it from me to suggest you should only pile up complaints or assume someone else will thank them for their ministry. It's not an easy vocation. But if you do feel moved to show your appreciation, please don't do so with any of these gifts. Believe me, it won't be "appreciated." 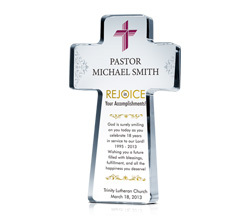 Nothing says "I appreciate my pastor" quite like engraved faux crystal in the shape of a cross. Actually you get a bonus cross since not only is this mantel-worthy item shaped like a cross, it also depicts one. Bonus! 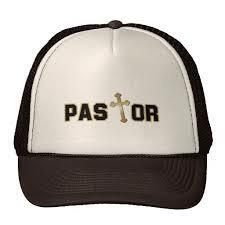 What pastor wouldn't want to show off his or her vocational pride with a brown and white "Pastor" trucker hat? And how clever that the "T" is really a cross! Most clergy I know drink a lot of coffee. 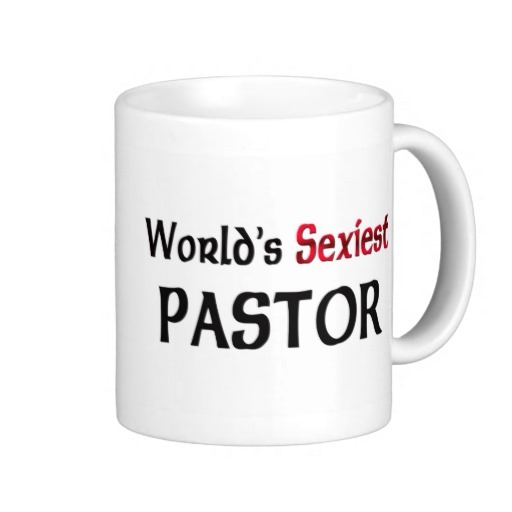 Okay, maybe I'm projecting slightly but there are plenty of pastor mugs to choose from -- though some say "Safe Church violation" more than others. One creative way to show your appreciation is by putting a bumper sticker on your car. Sure it's a bit creepy and misguided but "Honk if You Love Jesus" is so yesterday. In addition to coffee, most pastors love cake. 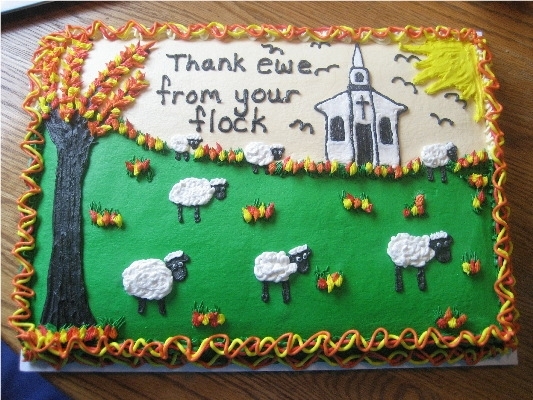 Surprise your pastor with a cake at coffee hour and you'll be very popular. Of course if you really appreciate your pastor you won't make him/her share the cake with everyone at church and you'll just deliver it personally to the parsonage at 10:45 pm on a Saturday night. If you're big into transference as a psychological phenomenon (see Rabbi Edwin Freidman), why not give this framed picture to your pastor? This is also perfect for the pastor with a major Messiah complex. 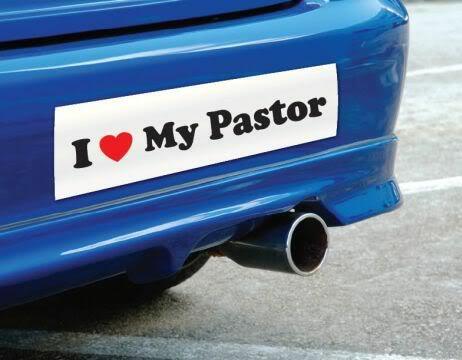 The last thing you would want to do in showing appreciation to your pastor would be to ignore the spouse. This Pastor's Wife "poem" would be a dream gift for any woman who stands by her man of the cloth. (Sorry, the Pastor's Husband poem doesn't appear to exist). Of course if you really want to show your pastor/clergy/priest some appreciation, take a moment to share how his or her ministry has led you to a place of transformation or spiritual growth. Embrace Christian discipleship. Be a passionate follower of Jesus Christ. Start a new ministry. Reach out to someone in need. Lend an ear. Make a donation to a charity in his/her name like Episcopal Relief & Development. Or be passive aggressive about it and donate a pig through Heifer International. And if that doesn't resonate, you can always show up with a "real" gift. so it's another made up thing for Hallmark although there are no cards-not that I've even looked. I appreciate my priest by telling him I loved the sermon or better yet, I sometimes cut (and eat) the donuts. he really is a great guy-Fr. Fred Devall of St. Martin's Episcopal Church in Metairie,LA.. now where shall I send the bourbon? I'm sure Fr. Fred is great but send ME the bourbon! yes- I meant you Fr. Tim. 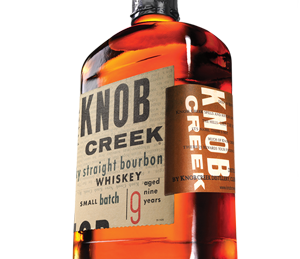 I can just hand the bourbon to Fr. Fred! or put the bourbon in the collection plate? not Kosher, right?! The clergy in western SD don't wait around for someone to remember, we just throw our own party. Clergy Appreciation Party in October and a Easter Recovery Party in the spring. I think your arch-nemesis would look great in the trucker hat, especially during Lent Madness. Is there a way to make this happen? For my part, anyone can show their appreciation by providing me with this: http://www.christianbook.com/living-word-letter-opener/pd/00150X. It's a weapon! No, it's a letter opener! Wait, it's BOTH!